Continue your Winter Tradition with destination ice skating! Visit The Capitol District Ice Rink presented by Energy Center Omaha to discover your winter tradition on ice. A portion of the proceeds will go to the Shine the Light on Hunger campaign, which supports Food Bank for the Heartland. The Capitol District – 10th & Capitol Ave. Opening Ceremony: Friday, December 7 beginning at 5:45 p.m.
During the Omaha Public School Recess, December 24 through January 3, as well as on Martin Luther King Jr. Day on January 21, the ice rink will be open from noon to 11pm. $10 admission fee includes skate rental and benefits Food Bank for the Heartland. Admission is still required for patrons who bring their own skates. Located in the new Capitol District development, the Ice Rink is an impressive 60×120 ft. and artificially chilled in order to keep it frozen even on the most pleasant of winter days. Friday, December 7th at 5:45 PM. Saturdays, December 8th through January 5th. All movies will begin at 1 PM. Sundays, December 9th through December 23rd from 2 PM to 4 PM. Available for photos and to hear what children want for Christmas! Wednesday, December 12th, Ice rink will be closed to the public from 6 PM to 7 PM. Wear your ugly sweater and receive $1.00 off your skate rentals. Receive a free hot chocolate, sponsored by Blue Cross and Blue Shield of Nebraska. Thursdays, December 20th through January 10th. Music from throwback eras all night long. The Capitol District Garage – 325 N 12th St.
Rates – $6 for up to 1 hour; $9 for 1 – 4 hours; $12 for 4 – 8 hours; $15 for 8+ hours. Capitol Garage – 1215 Capitol Ave. Hours – Weekdays: 5 p.m. – 11 p.m., Weekends: 24 hrs. Metered parking is located on the east and west side of 12th St. Free parking is located east of 8th/Riverfront Dr.
Visit parkomaha.com for more parking options. 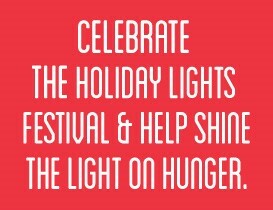 A portion of the proceeds from the rink is donated to Food Bank for the Heartland as part of the “Shine the Light on Hunger” campaign, a significant component of the Holiday Lights Festival. 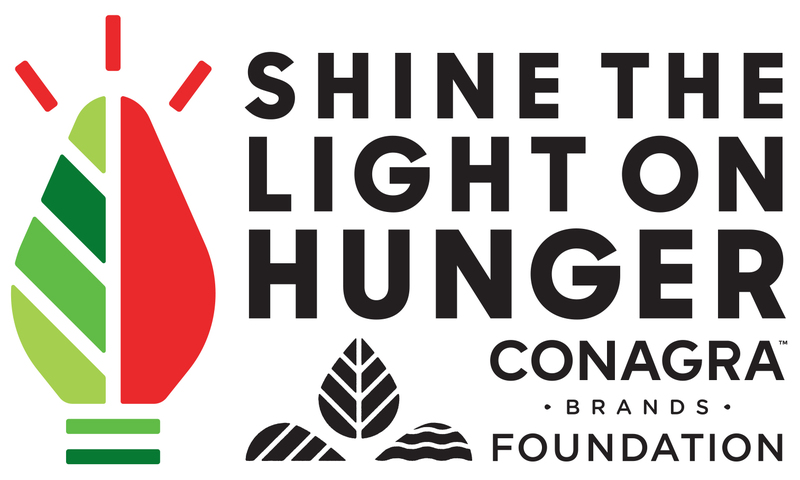 Conagra Brands Foundation will match ice rink admission up to $100,000 for the campaign. For every $1 donated, Food Bank for the Heartland can distribute three meals to those in need. Look for Shine the Light collection bins at the ice rink. Your non-perishable food item donations will be distributed to families in need by Food Bank for the Heartland. 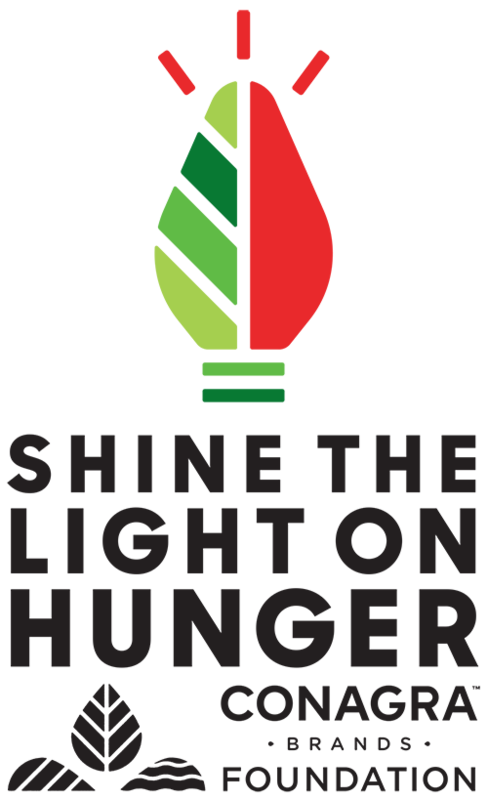 For information on other ways you can help “Shine the Light on Hunger,” click here.